Nunavut consists of an expansive terrain that encompasses a large part of the Canadian Arctic. It was created out of the eastern part of the Northern Territories in 1999. It is home to little over 37,000 people, in particular the Inuit. The Inuit are the indigenous people of Artic Canada. The capital of Nunavut is Iqaluit. There are several main industries that contribute to the economy of the Nunavut. These include mining, fishing, hunting, trapping, construction, and arts and crafts. Currently, mining is one of the largest private sector industries in the region. Gold, copper, and diamonds are presently the most common natural resources that are being mined. Lead, zinc, and silver are also mined in this region. There are plans being made to expand this particular industry in the Nunavut region. Some of the obstacles in mining is regarding the cost involved. There is a great deal of expense involved with traveling to Nunavut as well as sending machinery to outer reaches of this large area. The mining industry must also not infringe upon the Arctic ecosystem as well as the Inuit people’s customs and lifestyles. There are several fisheries set up in this region. They are involved in offering unique selections to the global market. This industry is dependent on seasonal changes and reaching the quota allocated. It can result in about $70 million in revenue, nonetheless. The traditional endeavours of the Inuit also make a considerable contribution to the Nunavut economy. It is estimated that these activities result in about 40 million dollars each year. Arts and crafts also make up a part of the Nunavut revenue. For a small population, it is assessed that there are about 3000 artists. It can be difficult to calculate the exact influence on the economy as many different artists sell their works privately. It is projected, however, that it is responsible for about $33 million every year. The rate of tourism has gradually been increasing in Nunavut. 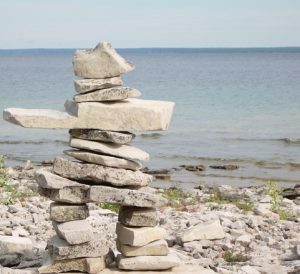 The unchanged landscape, wildlife, and a chance to experience traditional Inuit lifestyles are just some of the reasons that tourists visit Nunavut. It was discovered that in 2011, tourism was responsible for about $40 million a year in revenue. It made up about 3.2 percent of total gross domestic product of Nunavut. There were at least 1200 jobs created due to this sector. The government and other interested parties are investing millions of dollars into this sector in hopes that it will be a thriving source of income. There are limited banks and sources of financing in Nunavut. There are typically six different ways to gain fiscal support in this particular region. This involves the federal government, three community futures groups, several Inuit economic development agencies, and some territorial government institutions. There are also three different chartered banks. Residents also have the option of using Cape Fund, a private sector investment fund or the business development bank of Canada. The latter institution is owned by the Canadian government and is responsible for loan and investment opportunities. For those attempting to borrow money for personal reasons such the two main options are payday loans and personal loans. The payday loans are typically granted by independent financial institutions while personal loans can also be requested from banks. For other purposes such as educational, banks also offer the option of requesting various loans as well as opening a line of credit. The Business Development Bank of Canada (BDC) and Community Business Development Corporations (CBDC) are capable of providing many of the loans requested by businesses. These loans are available for start-up companies as well as business owners looking to expand their organizations. For individuals involved in agriculture or media, there are loans that are tailored to these specific industries. There are also revenue options opened to those who are Inuit and live in the Nunavut region. Nunavut is a fairly new region of Canada that is still finding its feet in a variety of ways. While it has a strong economy, there are many ways in which it can be improved. The governments of Nunavut and Canada are both experimenting different tactics to expand the Nunavut economy. Posted on June 3, 2016 by admin. This entry was posted in Uncategorized. Bookmark the permalink.